» The item is currently not available. Attention! Not suitable for children under 3 years, as small parts can be swallowed. Risk of Suffocation! 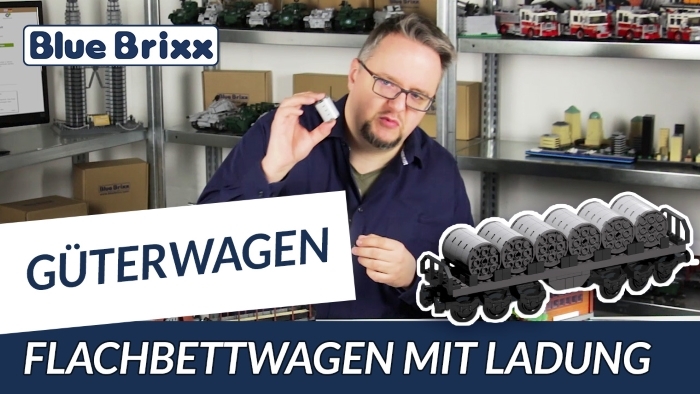 In the latest video from the Bricks Studio, Marco plays with the BlueBrixx train, presenting the flatbed wagon with cargo. Up to 80 tons of cargo can be transported by the real counterpart, distributed over 6 axles. New version of our train buffer beams – better grip! Our first freight cars are available for about a month now and are very successful. We are very pleased with their success and are planning a lot of other railway products, from passenger cars to locomotives to buildings and accessories. With the production of some railroad parts we entered uncharted territory, especially concerning the buffer beams. We tested the magnets’ holding power until we were satisfied with their quality. But nobody is perfect – unfortunately, some buffer beams have problems with the vertically installed metal pin. This pin sometimes drops down out of the buffer, as seen in the photo. The freight car can then get stuck on switches. This does not apply to all our parts, but we received complaints about them. Our customers have pointed out this issue and we immediately worked on a solution. Thank you very much for your feedback! Now we have this solution in stock. While the previous pen has a corrugation at its tip (to the left in the picture), the corrugation of new version of the pen sits near the base (as seen on the right side of the picture). 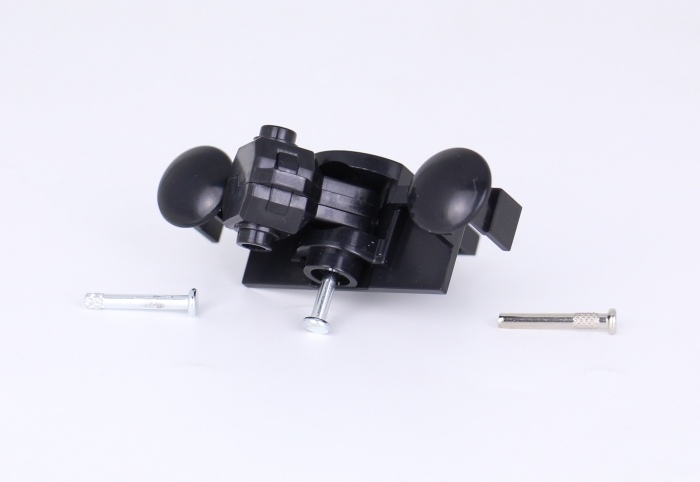 Since the lower hole of the buffer beam has a smaller diameter than the upper one, the new pin sits firmly and securely in its holder. The new pen does not change the mobility of the magnet. At the next production run of the buffer beams, the new pins will be installed. To sets with the previous version of the couplings we are adding two new pins so that the pins can be changed if needed. For this you pull out the old pin, preferably with a pair of pliers or by pushing the pin from above with a suitable object. The new pin is then pushed in from below through the holes of the holder and the magnet. And what if you already own one or more of our freight cars? It's quite possible that the pins in your buffer beams are working fine. If you notice the problem, please write us using our contact form at the bottom of the page. We will send you an appropriate amount of the new metal pins immediately! 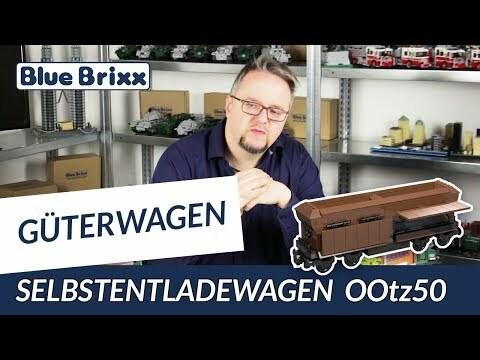 Youtube: The first cargo trains by Bluebrixx are on stock! 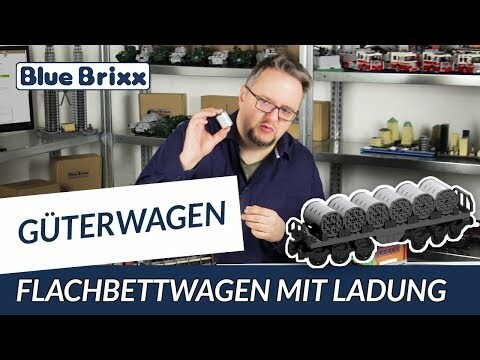 In the latest Youtube video, Marco introduces the first three freight cars that have just arrived. 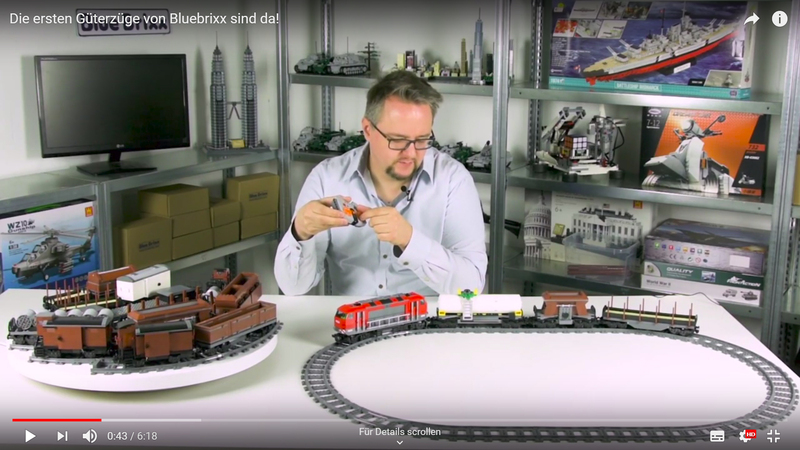 A large flat car offers space for bulky cargo, which our product designer demonstrates with a few bricks. He also filled the bulk goods wagon on a test basis and he also knows a lot about the tank wagon. 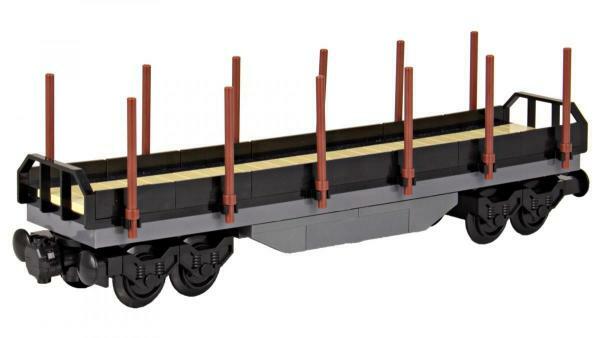 All three freight cars are now available in our online store! We are curious how you AFOBs like it. In fact, right now we are planning the production of other train cars and we are thinking about which sets should be offered next. What do you think? Write us on Youtube a comment what you prefer.